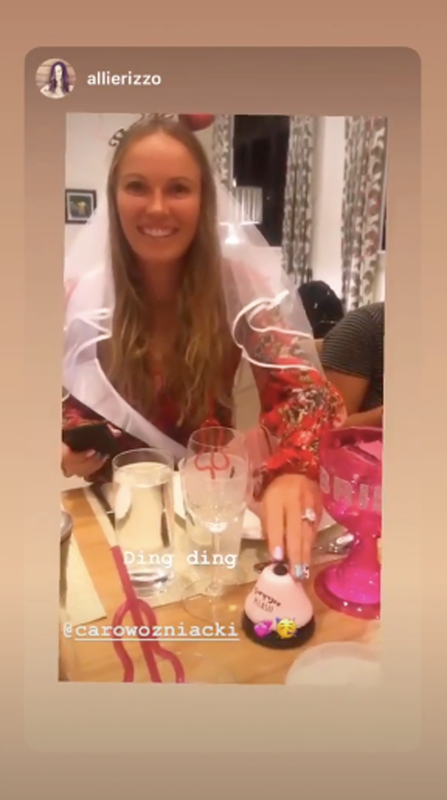 It’s Caroline Wozniacki’s bachelorette weekend. 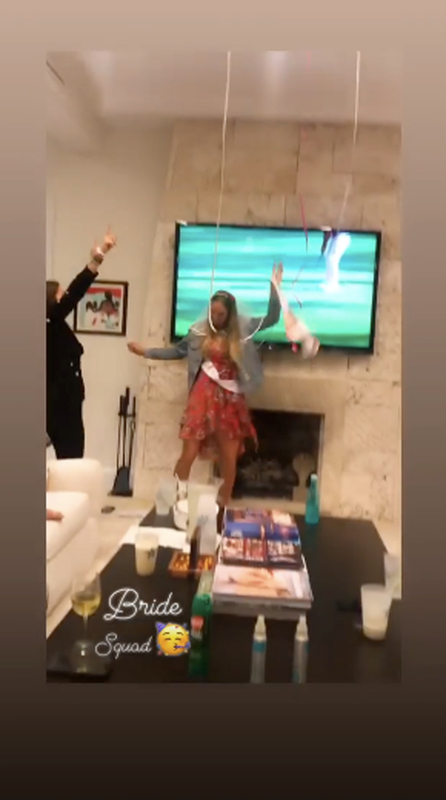 The tennis superstar is currently down in the Bahamas with a group of her close friends, including fellow athlete Serena Williams. 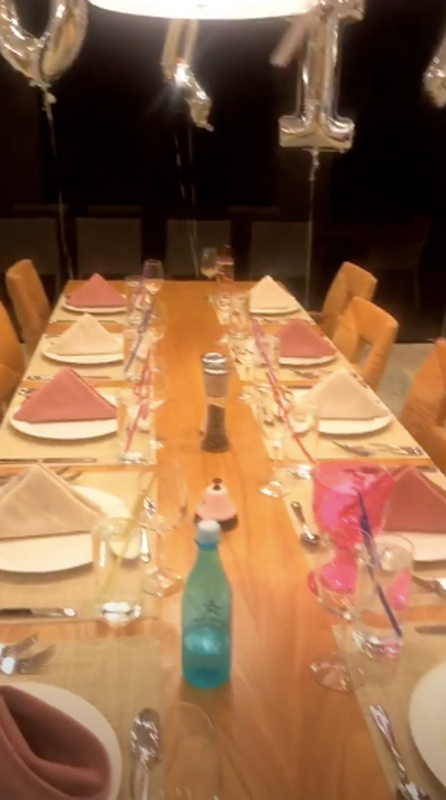 The weekend itself appears to be jam-packed with a range of indoor and outdoor activities, kicking off with an intimate welcome party for Wozniacki’s crew (otherwise known as Caro’s Crew). 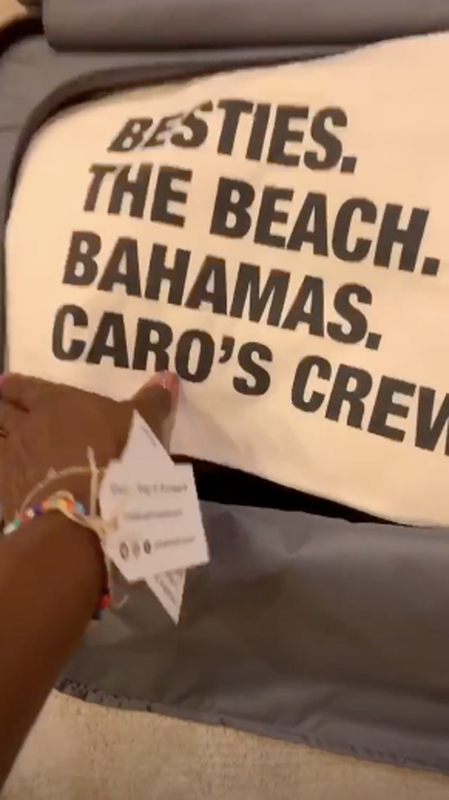 The partygoers were greeted with tote bags filled with goodies like customized jean jackets with each recipient’s name displayed on the back of the item. 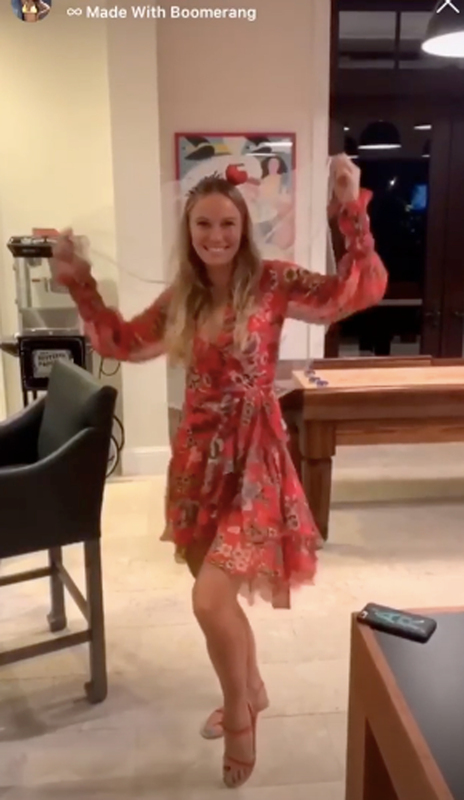 Each invitee also received a personalized bracelet ahead of the festivities as well as swimsuits emblazoned with “Caro’s Crew.” The first night kicked off with Wozniacki dancing in the living room of their private space, followed by a sit-down dinner. 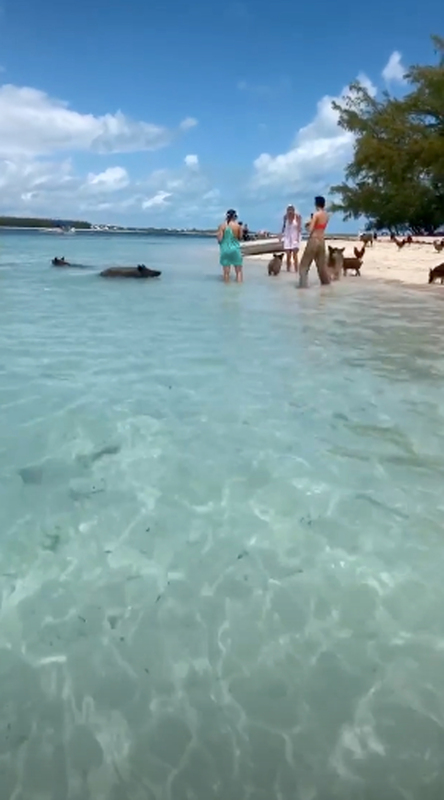 Friday morning started with a beach excursion to one of the islands featuring roaming wild pigs. 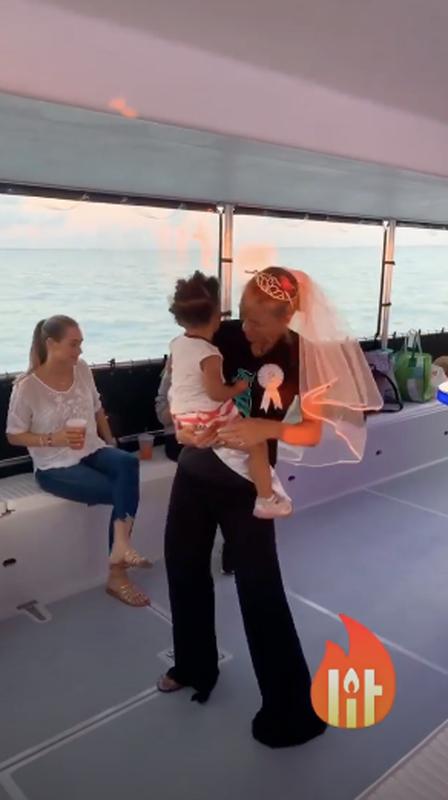 Wozniacki and her fiance, David Lee, got engaged in Bora Bora during a private dinner cruise. 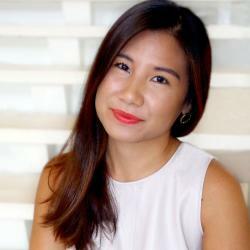 As the sun dipped over the South Pacific, Lee dropped down to one knee. “Even if we had just had had a normal dinner—it would have been one of the most beautiful things we’d ever done,” Lee told Vogue in a subsequent interview. 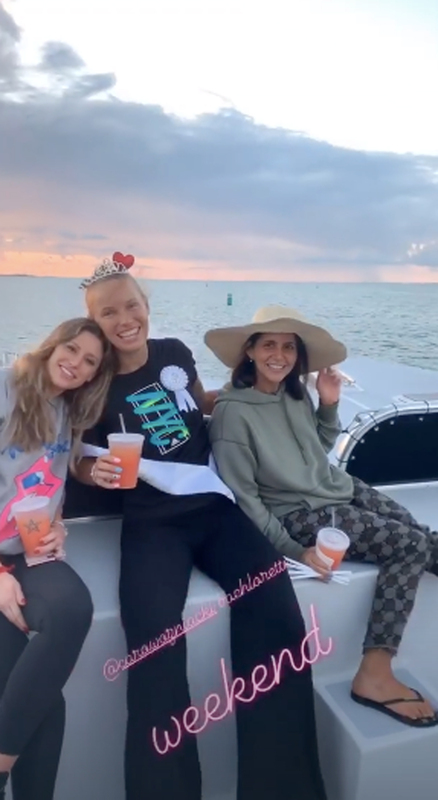 Be the first to comment on "Caroline Wozniacki’s Bachelorette Party in the Bahamas Is Happening Now"